Today's digital technologies enable us to build solutions that can strongly improve the daily lives of people with epilepsy. Epihunter meets this challenge. 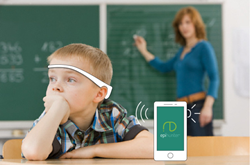 Utilizing consumer EEG headsets and a proprietary app to alert teachers of epileptic absence seizures in the classroom. This way, Epihunter builds digital solutions to help normalize the daily life of people with epilepsy. It aims to facilitate observers to note exactly what is happening and hence hopes to avoid misunderstandings for those that don’t fully understand what is happening. 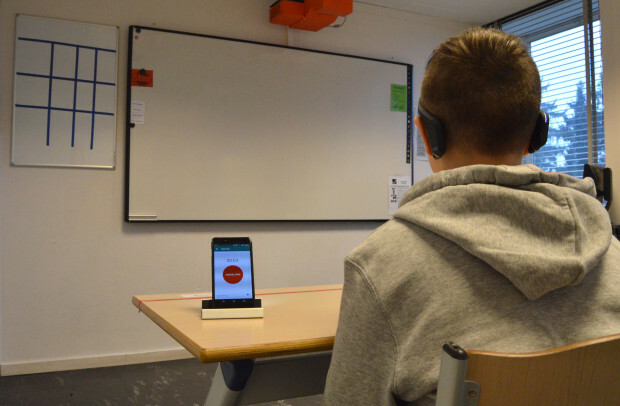 Epihunter Classroom uses slim and nicely designed consumer headsets to send brain activity to a smartphone on the child's desk. The innovative proprietary Epihunter Classroom app analyses the data and turns on the light of the smartphone when an absence seizure occurs. Secure online reports provide parents with objective information on seizure occurrence and frequency. The gain is triple. The child gains confidence, teachers know what content or which instructions to repeat, and parents are reassured that seizures do not remain unnoticed anymore. Epihunter is a Belgian SME. It was founded in 2017, and is currently securing a €500k capital round. It is run by Tim Buckinx, Niki Driessen and Dirk Loeckx. Tim, CEO, has more than 10 years of global digital leadership experience in consumer electronics and is father of child with epilepsy. Niki, CTO, has more than 15 years of experience as Software/Solution Architect in Digital, e-Comm, Big Data & Analytics and IoT and has more than 8 years of experience in software delivery management. Dirk, CSO, has a PhD in biomedical imaging, an MBA, and more than 8 years of experience in starting, running and scaling Health Tech start-ups.